What’s your purpose? Are you making smart choices in your Life? Do you recognize the value of having a professional Life Coach to bounce ideas off of and stay accountable to your stated goals? Are you coachable? Evolving the Masculine began as a response to the growing number of men who want more emotional intelligence in their lives, producing more fulfilling relationships. Our mission is to help men develop leadership, communication & relationship skills. 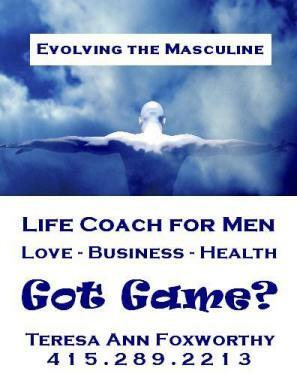 This EVOLVING the MASCULINE: Ride the Tiger Life Coaching Program is geared for men who are ready for personal transformation. With more than 20 years experience, your coach will help you make rapid progress with weekly sessions to review what’s working, what might work better, and how to navigate forward with more dignity.